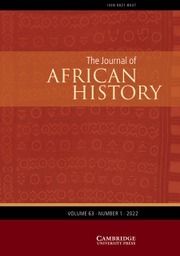 The Journal of African History (JAH) publishes articles and book reviews ranging widely over the African past, from ancient times to the present. Historical approaches to all time periods are welcome. The thematic range is equally broad, covering social, economic, political, cultural, and intellectual history. Recent articles have explored diverse themes including: labour and class, gender and sexuality, health and medicine, ethnicity and race, migration and diaspora, nationalism and state politics, religion and ritual, and technology and the environment.